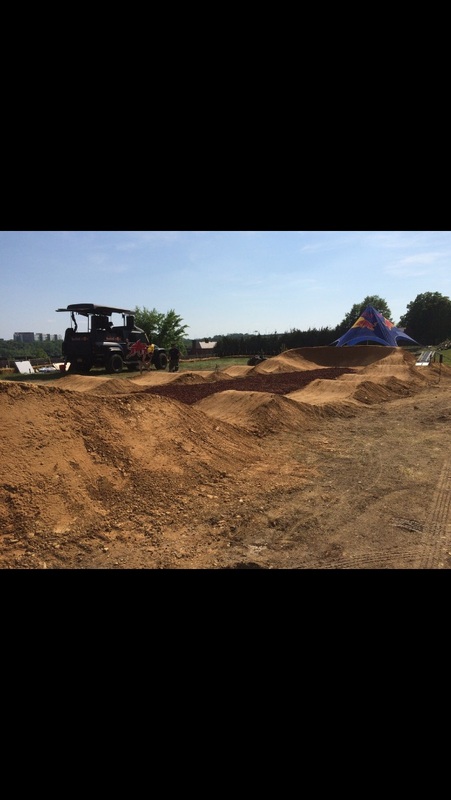 This spring DirtSculpt we be building the bike park at powder ridge! It will be a downhill lift excess park with a skills park and jumplines For bmx and hard tail. You will be able to ride any style bike. This is the press release with all the info. If you live in Sweden or are looking for a great reason to visit, DirtScupt recently gets a Hi5 for their design in Obbola, Sweden. Obbola IK Cykel Club’s dream of having a top-notch bike park is finally coming true. Obbola is small town in Sweden located west of the mouth of the Ume river having approximately 2,200 residents. DREAM BIG: Get a group of passionate riders who aren't afraid to dream big. COMMITMENT & SHARED VISION: Be committed to your dream and share your vision with members of your local community including businesses / sponsors that may be able help. HARD WORK & DEDICATION: Like anything in life, having big dreams and a vision only becomes reality when combined with hard work and dedication. In April 2015, Members of Obbola IK Cykel Club ("Club") reached out to DirtSculpt Parks with a small budget and a big dream of getting a bike. After speaking with member of the riding club, one thing was clear, there was no lack of passion or energy from the local riders about getting their bike park built. 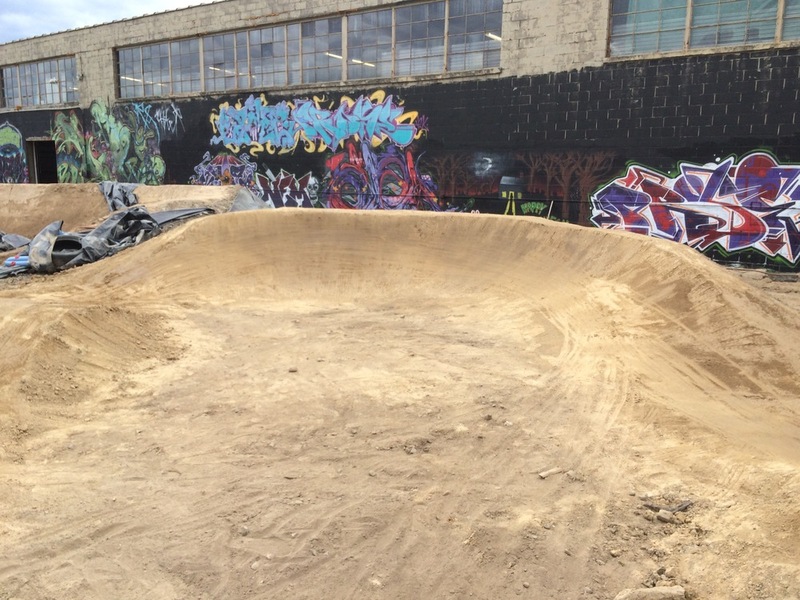 When the Club reached out to DirtSculpt, it was clear what they had and didn't have. In addition to having lots of enthusiasm and willingness to work, the Club also had a clear idea of what type of riding elements they wanted in the park including a pump track and three (3) progressive jump lines to challenge beginner to expert riders. What they didn't have was a ton of time or money. Aerial Photo taken from drone prior to construction with rough sketch plan of park in red. Bike park design and construction is very specialized. Almost all the bike parks we build are "Design-build" projects. This meaning that one company does both the design and construction of the project. Some of the benefits of utilizing a design-build approach for bike park projects is due to the fact that bike parks typically require a lot of site grading. Communicating complex 3D site grading from a design firm to a different site contractor is challenging and often leads to project issues. Another reason that DirtSculpt prefers using a design-build approach is because you will often miss great design-opportunities if you rely on designs that were completed offsite in an office. As we all know, there's often a difference between what is ideal and what is reality. We were stoked that a group of riders nearly 4,000 miles away in Sweden were contacting us because they thought so highly of our work; however, I'd be lying if I didn't tell you that Dave and I were bummed to learn that the project budget wouldn't allow for us to even do a site visit in Sweden, yet alone build the park for them. Putting our desires to visit Sweden behind us, we began to focus on what was most important, doing whatever we could to design and assure clear communications to the contractor that would be building our design. In part 2 of this blog series, we will show you DirtSculpt's design and discuss how we utilized new innovative techniques to communicate our design with the Swedish contractor. Stay tuned for Part 2 of this blog post to be released in the next week. 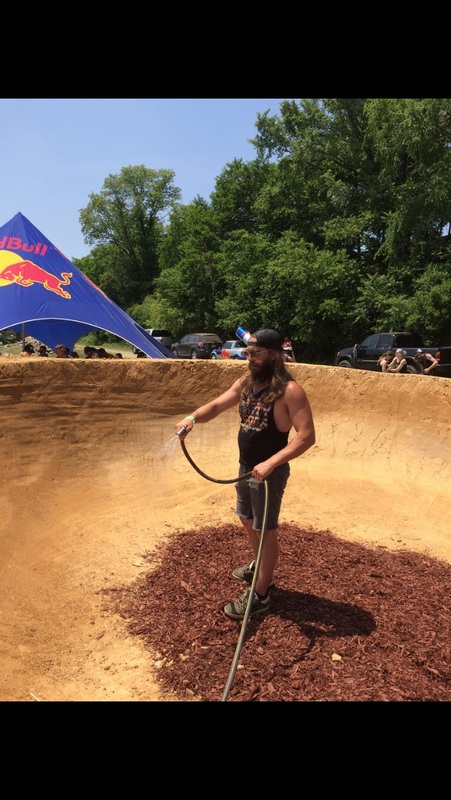 The day after returning from the X Games build in Austin, Texas, the DirtSculpt crew along side local riders from Catty Woods gave back to their local community by building a pump track for the Borough of Catasauqua's Iron Works Summer Blast, a local community festival that was held on June 13, 2015. The turn out for the event was fantastic and the pumptrack and demos from local riders was one of the highlights of the event. In addition to the pumptrack, the Iron Works Summer Blast had a pop-up garden, an interactive mural, as well as local food, beer, and music. 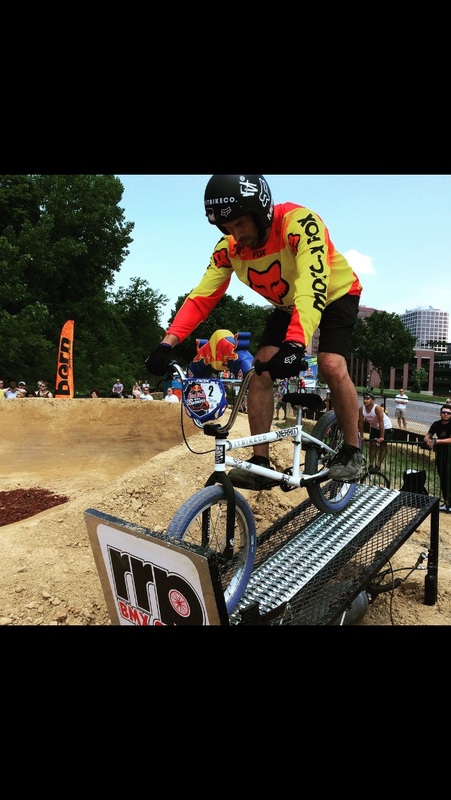 The local riders put on an amazing demo of pro-level riding that entertained parents and inspired local youth. 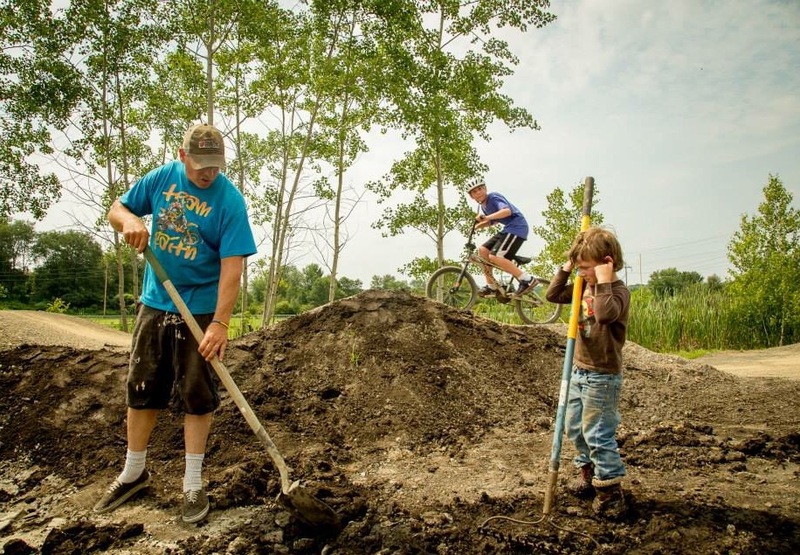 According to Dave King, one of DirtSculpt's owners, "One of the reasons that we are starting to see more and more pump tracks being built in our public parks is that no matter what the age, skill level, or experience, everyone can enjoy them." DirtSculpt had over 30 parents approach them during the one day event asking where the closest public park was with a pumptrack because their kids had so much fun riding. Christian Birch, one of the partners at DirtSculpt said, "In recent years, we are seeing more and more demand and support for bike parks in local communities." Earlier this year, DirtSculpt together with Pennsylvania Department of Conservation and Natural Resources (PA DCNR), presented an informational session on pumptracks at the Pennsylvania Recreation and Park Society's annual conference in Lancaster, PA. According to Christian, "Many states including PA are looking to replace under-utilized park facilities and replace them with pumptracks as a way of getting kids more active and re-engaging them with public parks. Here in Pennsylvania, the PA DCNR has grant money available to fund park projects that include facilities like pumptracks." When asked what the Borough of Catasauqua's response will be to the growing demand for a public bike park in their community, Christine Weaver, a member of Borough Council said, "The riders have a great work ethic and their exuberance is contagious. Gene Goldfeder, Borough Manager, and I met with DirtSculpt within days of the event. Vince Smith, Council President, is a huge supporter of the (local) riders, and a few of our council members have expressed interest in getting a (public) pumptrack in the Borough. Can't wait to see it through and find out what comes next and where." DirtSculpt will be providing professional services to the Borough of Catasauqua in Lehigh County, Pennsylvania in order to explore what grant funding may be available for the planning, design, and construction of a public bike park and trails. If you or your community would like discuss how DirtSculpt may be able to help you, please email us at info@DirtSculpt.com or give us a call at 610-960-5117. 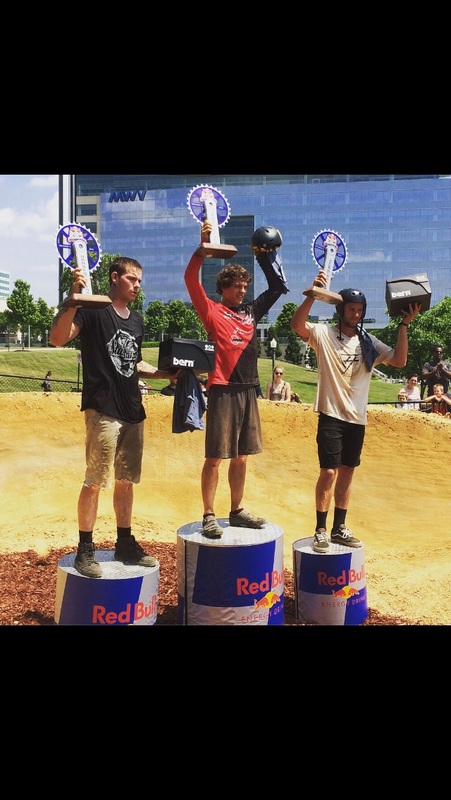 So went back to Richmond for the second year of Red Bull Berm Burners at Dominion River Rock! This year the course was the same layout but the rollers were a little deeper and a lot more technical to ride. The build went well. This year we had no rain, unlike last where we had flood stage rain for almost the entire build. Just want to say congrats to Keegan Nelson for the win! Thanks to Red Bull for putting on such a cool event! Thanks to Mark Tomasic and Creson Helm for killing it on the build. Check out the Doublecross edit so good tons of action and crazy passes! So it was a mission to get this one done! It took two trips to make this happen. The first time it poured twice a day for four days in a row! Plus a tornado, which is pretty rare for the area. So we came back determined to finish this park no matter what! Even though there was still a ton of rain James P Nutter,Kyle Keck, and myself worked like maniacs to get the park done. We built a medium and large Jumpline and small and large Pumptrack. With four days of sun we were able to finish and ride it all in. 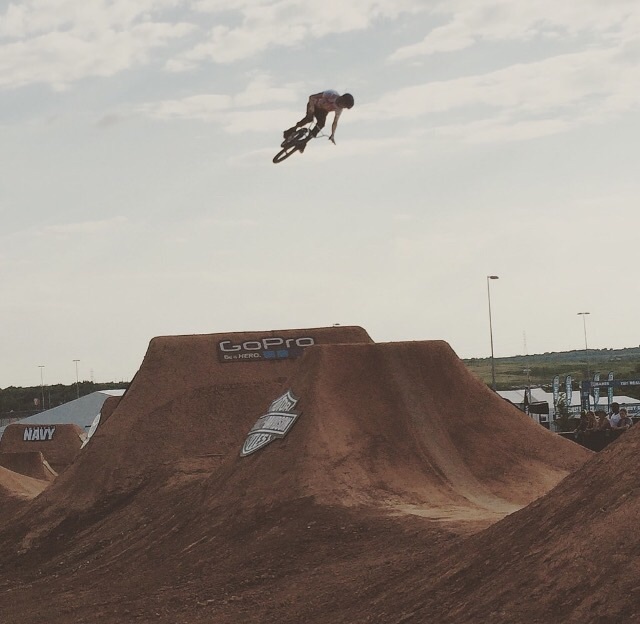 Check out X Games Dirt today on Espn at 12 eastern time. 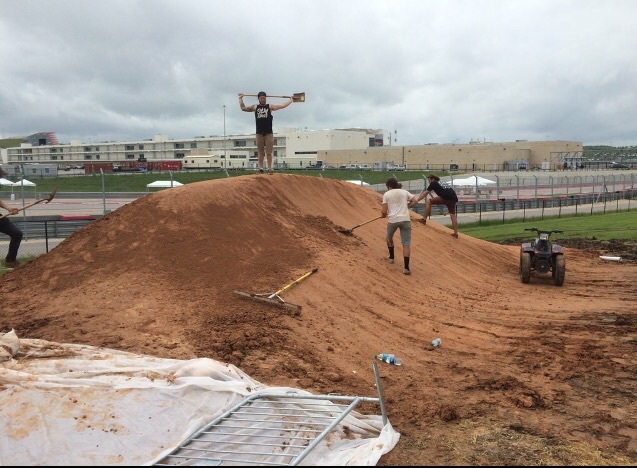 The first down hill trail style course for X Games! I'm very excited about this event! It's going to get crazy! Well I know this post is way over due but here it is anyway. A few weeks ago we did this sweet event for Redbull.com and it turned out great! It was at http://www.dominionriverrock.com the whole thing was such a good outdoor life fest! 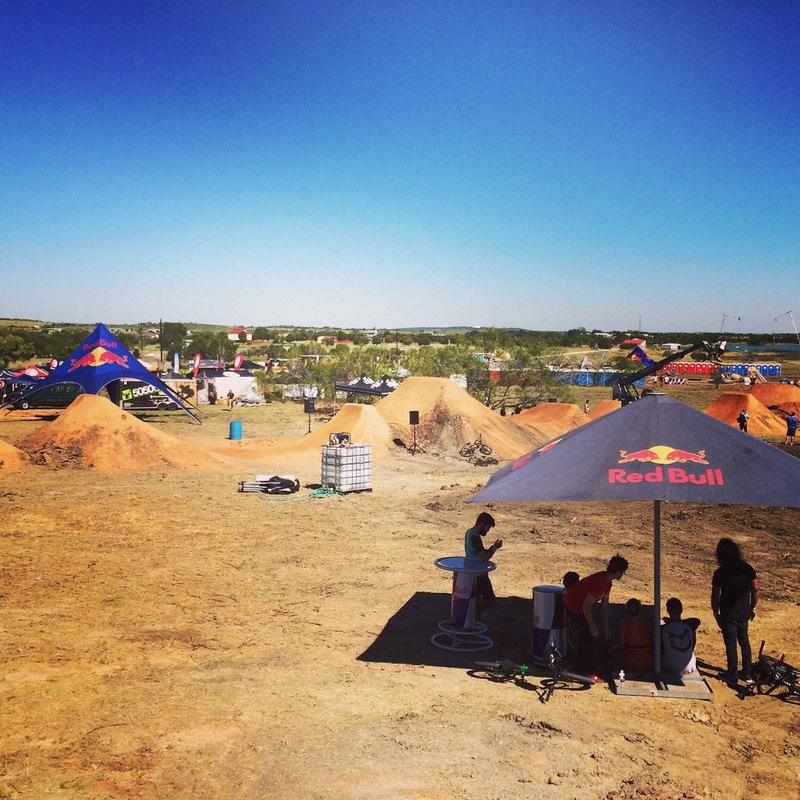 So the Redbull Berm Burners was a two person cat and mouse Pumptrack chase race. We had two gates at either end of the track and they dropped at the same time. If you got lapped you lose other wise it was based off of your time. The cool thing was it was open to MTB and BMX! That really made things interesting! We are doing it again in Windom Resort upstate Ny on August 9th at the World Cup MTB race so there will be a lot going on! Well here are some pics! For anyone that has not seen the Dirtconquers highlight vid it's on http://www.redbull.com/us/en/bike/stories/1331646195638/watch-red-bull-dirt-conquers-bmx-highlights It's a great edit you can see the course and all the new features really good. This is one of my proudest creations! Thanks again Gilly,Clint ,Nutter,Will,Oscar, and Daniel. Still the roughest build I ever did !